The Honouring Our Strengths: Indigenous Culture as Intervention in Addictions Treatment (CasI) research project was a three year collaboration between the National Native Addictions Partnership Foundation (now known at the Thunderbird Partnership Foundation), the University of Saskatchewan, the Assembly of First Nations, and the Centre for Addiction and Mental Health that began in April 2012. The CasI team included Indigenous and non-Indigenous researchers from across Canada, Elders, Indigenous knowledge keepers, cultural practitioners, service providers, and decision makers. The aim of this community-based research team’s work was to develop an Indigenous knowledge based wellness assessment instrument that can demonstrate the effectiveness of First Nations culture as a health intervention in addressing substance use and mental health issues. Indigenous knowledge holds that traditional culture is vital for client healing and wellness. However, empirical documentation of its impact on client wellness is absent. This project is the first of its kind in Canada and is suitably timed with the renewal processes underway in Canada’s First Nations addictions treatment system. A key recommendation of the Honouring Our Strengths Renewal Framework (HOS) has been to establish a culturally competent evidence base to document the nature and to demonstrate the effectiveness of cultural interventions within treatment programs. The CasI project makes Indigenous ways of knowing central to better understand the positive impact that cultural interventions have for clients in addiction treatment. We committed to understanding and implementing “Two-Eyed Seeing” with a priority of Indigenous knowledge. This is an approach that brings together the best of Indigenous and Western knowledge systems. The CasI research project has created a culturally competent instrument called the Native Wellness AssessmentTM instrument that has been programmed into the Addictions Management Information System (A.M.I.S.) database and is available throughout Canada. The Native Wellness AssessmentTM is capable of measuring the impact of culturally-based services on wellness for First Nations people and is building an evidence base for the role of culture in promoting wellness. A summary of the complete CasI project processes and products is available in a 90 minute recorded webinar that was hosted by the Centre for Addiction and Mental Health on June 19, 2015. You can access the webinar recording and accompanying slides on the Portico website in the “Mental Health Promotion and First Nations, Inuit and Métis Communities” section. 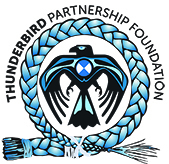 The Thunderbird Partnership Foundation also has a CasI Pinterest board with links to the recipes and videos.